Life with Lynnie: Happy? Or, Unhappy? Even though it may not apply to everyone, it may affect many people. 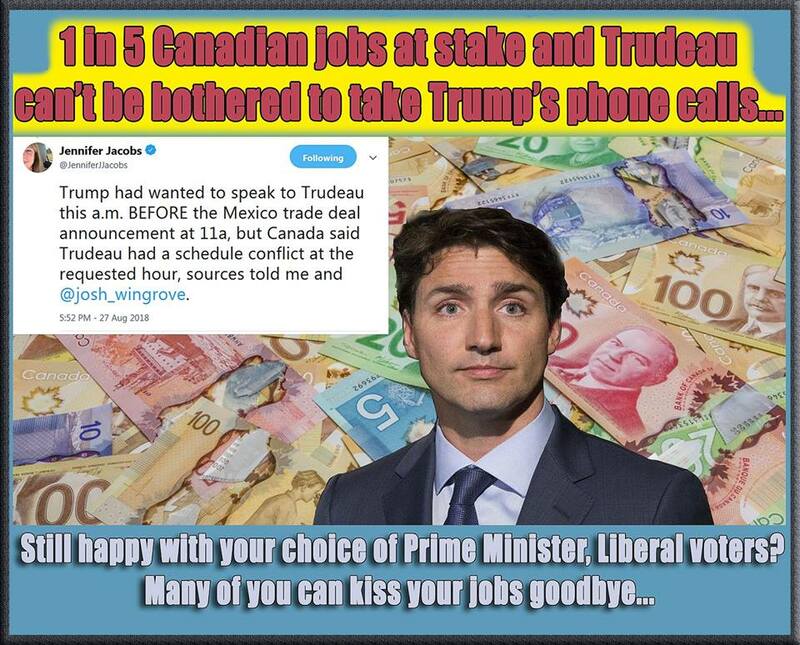 Well, here is a link that I was seen on Facebook (FB) by noliberals.ca for you to click on: https://www.facebook.com/NoLibs2018and2019/photos/a.183276415056069/2018766874840338/?type=3&theater. Once you've clicked on the link, click on the pic and you'll be able to read more information. Yes, I checked it out. You can see what the article and photo it was that was shared on FB. Can you name another foreign leader -- including enemies and rivals like Castro, Xi, Putin, Kim -- who would refuse to take a phone call from Trump? Even if they hated him, just to hear what he had to say? Stephen Harper was right: Justin Trudeau actually wants a trade war. So what if it will cost hundreds of thousands of jobs. Why should Trudeau care? So many people voted for Justin Trudeau to be become our Canadian Prime Minister. Yet, I've heard that many people are feeling like I am, feeling badly that he was elected. Much like what we read about in this article and saw in the picture, about being unhappy. To me, I believe since we are in end times. For our country and our world seems to be just as what God told us. Thinking of that, made me think of 2 Timothy 3:1, "This know also, that in the last days perilous times shall come.". Yes, to me, we are living in a time when life is changing so very much. But, we don't have control over it. We just need to trust God to help us through each and every day. Hopefully, you have His love. I do. If you do, He will bless you and help you, always.